It is always nice to feel validated. I create to make my own statements and follow my heart in doing so. But, then it is always good to be acknowledged. 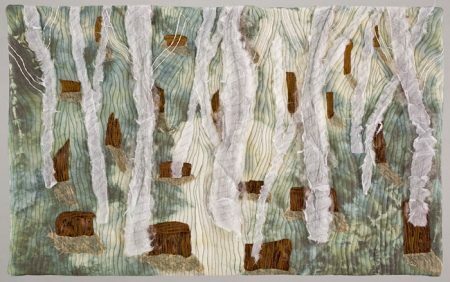 Earlier this week, I learned that one of my quilts, Ghost Trees, has been accepted into the exhibit, “Material Measurement – Magnitude, Meaning & Makers”. It will be on display from October 1 – November 26 at the Museum & Arts Center in the Sequim – Dungeness Valley in Washington. No sooner than I had sent the piece off to Sequim, the latest copy of the SAQA Journal showed up on my computer. 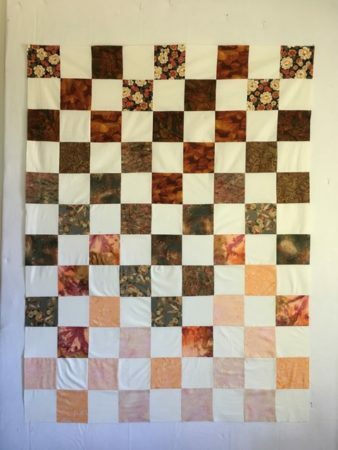 I was delighted to find that one of my favorite art quilts, Journey, is featured in the Member Gallery. The theme for the gallery is ‘adventure’. With hope that you all have an equally good week in your futures! COngratulations on Ghost Trees! 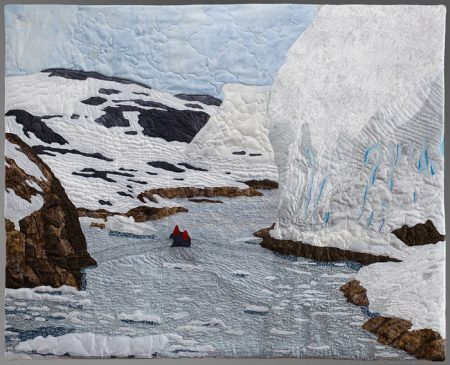 I saw Journey in the Journal and oh my, what an incredible quilt. It really tells a story-love it! hurray for you!!! and very well deserved…….you’re a star!